Fritz Lang has created a lot of pretty pictures and has discovered the astonishing talent of Brigitte Helm. I cannot blame him for not being able to cut the quantity of ideas in individual scenes mercilessly enough (the water catastrophe, the duel), but instead repeatedly trying out new lighting and angles. This time the film’s qualities lie precisely in these efforts: and if the viewer knows how to make the best of something, he will derive pleasure from these images. Rudolf Arnheim, review of Metropolis, 1927. 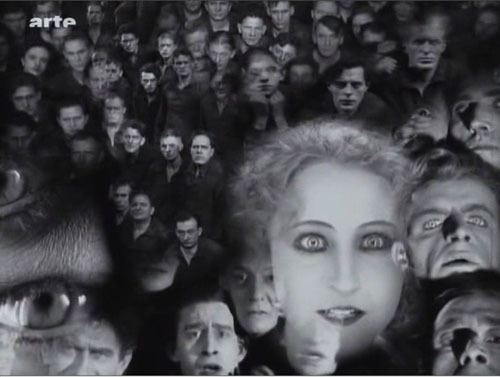 Along with La Roue and The Battleship Potemkin, Metropolis (1927) is one of the great sacred monsters of the cinema. Many versions circulate, and restorations never seem to stop. 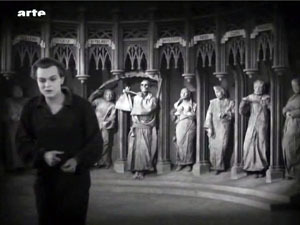 A beautifully restored, though incomplete, version was premiered in Berlin in 2001. This is the basis of the most authoritative DVD releases. By now, however, everybody has heard about the 2008 discovery of a significantly longer version in Argentina, a 16mm preservation copy drawn from a scratch-infested 35 nitrate original. Since 2008 a team at the Friedrich-Wilhelm-Murnau-Stiftung has been at work adding material from the Argentine version to the earlier one. Kristin and I have written earlier entries (here and here) tracing the progress of the restoration, and the team have produced a detailed website explaining their work. The result made its world premiere at the Berlin Film Festival earlier this year, and an exhaustive exhibition about the film has been running at the Deutsche Kinematek in Berlin. Now I’ve seen it, at a screening during the Hong Kong International Film Festival. 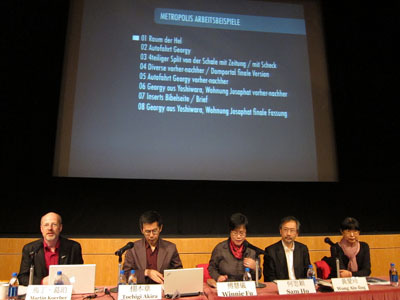 Frank Strobel, a member of the restoration team, conducted the Hong Kong Sinfonietta, and another collaborator, Martin Koerber, curator at the Deutsche Kinematek, was present to discuss the restoration process. A handsome booklet, cosponsored by the Goethe-Institut of Hong Kong, provided a lot of background. The film was projected digitally, but at very high resolution and looking quite crisp. I had a front-row center seat. I had a swell time. 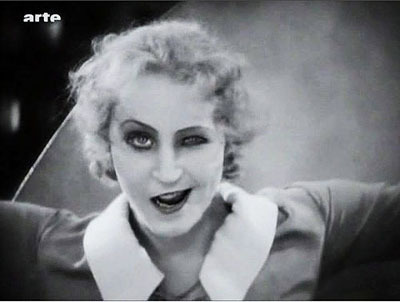 Metropolis has never been my favorite Lang of the period, but this version makes the strongest possible case for the film. It’s hard to dislike its shameless, preposterous ambitions, its stew of biblical and modern ingredients, its bold architectural vistas, and its trancelike characterizations. Also, people running crazily about in gargantuan spaces can usually hold your interest. 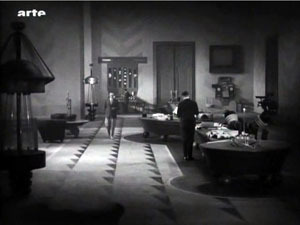 All [the American editors] were trying to do was to bring out the real thought that was manifestly back of the production and which the Germans had simply “muffed.” I am willing to wager that “Metropolis” as it is seen at the Rialto now is nearer Fritz Lang’s idea than the version he himself released in Germany. . . . There was originally a very beautiful statue of a woman’s head, and on the base was her name–and that name was “Hel.” Now the German word for “hell” is “hoelle” so they were quite innocent of the fact that this name would create a guffaw in an English speaking audience. So it was necessary to cut this beautiful bit out of the picture . . . . The new version gives the film a better narrative balance. Somewhat surprisingly, the plot hinges on one of the oldest and simplest narrative devices: mistaken identities. The overlord Fredersen engages the crazed scientist Rotwang to create a mechanical Maria who will lead the workers astray. 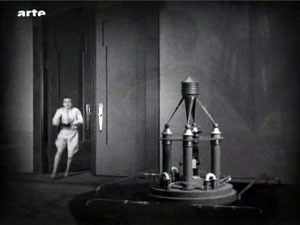 Rotwang takes the occasion to avenge himself on Fredersen by having his robot urge the workers to destroy the machines. Two Marias, then–actually more, if you count the robot Maria’s incarnation as the Whore of Babylon in the Yoshiwara Club. Thanks to the Argentine footage, we now know that another major character doubling involves Freder. At the start of the version we all know, Freder is visited by Maria and a flock of children. Upon seeing her radiant charity, he becomes suddenly convinced that he must join the oppressed workers, his “brothers and sisters.” Helping them has become his destiny. He gains an ally in Josaphat, an employee whom his father has brusquely fired. Descending to the cavernous machine halls, Freder switches identities with Georgy, a worker who returns aboveground to live Freder’s life. Freder wants him to go to Josaphat’s apartment, where they will meet. But the Thin Man, a long, leering hireling of Freder’s father, is charged with trailing Freder. Stretches of the Thin Man subplot are missing from the previous version, but now we can see that Georgy/ Freder is a sort of early counterweight to the Maria/ Maria parallels. 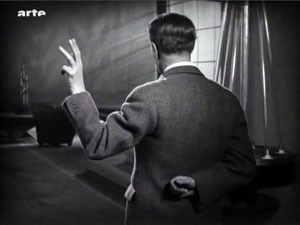 As in the latter case, the switch leads to misunderstanding, with the Thin Man following Georgy to the club and eventually to Josaphat. The Georgy substitution also allows Harbou and Lang to introduce the Yoshiwara Club early, but teasingly, in a rapidly dissolving montage. Only later will we get a good look at the delicious degeneracy inside. 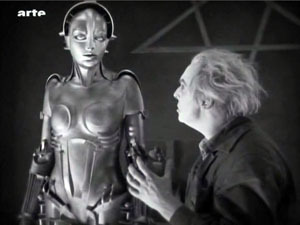 As Martin Koerber indicated in several remarks, the older, most common version of Metropolis turns it into a science-fiction film, since it puts the robot Maria at the center of the plot. Just as important, though, is Freder’s plan for overturning class oppression, something fleshed out in the Georgy/ Josaphat material. Other new footage puts the relationship between Fredersen and Rotwang in a new light. We now see that Rotwang was in love with Fredersen’s wife Hel, and he has constructed not only a huge bust of her but also a “mechanical man,” outfitted with a distinctly female anatomy, as a sort of Hel substitute. Fredersen diverts Rotwang’s plan to the purpose of mimicking Maria. So we get another doubling: Freder’s mother Hel becomes the firmware for the robot Maria through the machinations of two father figures. (Freder will kill one and redeem the other.) In all, the new footage yields a play of eerie Freudian substitutions. The 2010 restoration also establishes the film as consisting of three large-scale movements. The first section, “Prelude” (Auftakt), runs a bit more than an hour. 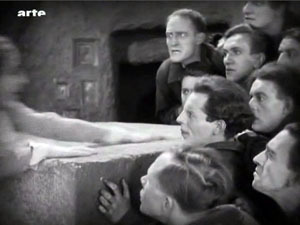 It shows Freder joining the workers and his father planning to have the Thin Man follow him. This part also introduces Rotwang, establishes Fredersen’s order to make a robot Maria, and ends with Rotwang’s capture of Maria. 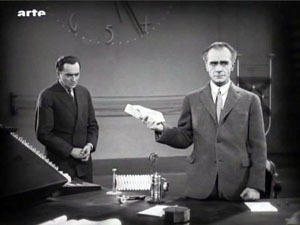 A second part, called “Intermezzo” and lasting about thirty minutes, is devoted to intertwining the Freder/ Josaphat plot with the creation of the robot Maria. The section more or less climaxes with a demo of the new Maria, dancing sexily at the Yoshiwara. In “Furioso,” everything builds to a climax across a remarkable fifty minutes. The cloned Maria leads the workers to destroy the machines, fulfilling Rotwang’s plan to avenge himself on Fredersen, while the real Maria escapes from Rotwang’s compound during a fight between Rotwang and Fredersen. (We’re still lacking some of this footage.) At the same time, Freder and Josaphat converge on the underground city. The workers’ smashing of the machines triggers a flood from which the children must be saved. 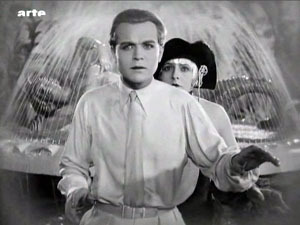 At the finale, during a hand-to-hand struggle with Freder, Rotwang falls to his death. There follows the famous epilogue in which Freder, “the Mediator,” must bring together hands (the foreman Grot) and head (the capitalist Fredersen). This delirious fable is rendered with unrelenting zest. Lang has now perfected his breathless version of silent-film narration. He relies on simple, immediately graspable compositions, rapid crosscutting among different plotlines, and a dynamic approach to analytical editing. In the late 1920s, many American films became more heavily dependent on intertitles; it’s as if directors were anticipating talkies. But of Metropolis’s over 1800 shots, I counted only 26 expository titles and 156 dialogue titles—in a film running nearly 2 ½ hours. Lang plunges us into each scene with no fuss, and once we’re there, a smooth continuity carries us from shot to shot. 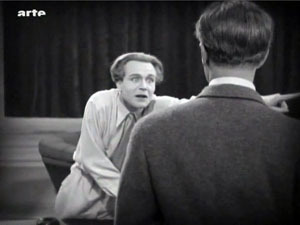 Confronting the seven deadly sins in the cathedral, Freder turns away, twisting Georgy’s cap in his hands as he exits the frame. 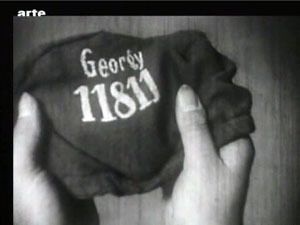 He lifts the cap, and we get his point of view on Georgy’s name and number. Cut to the Yoshiwara nightclub closing, as Georgy steps groggily into the street. Here the new footage lets us see that Lang is exploiting the sort of verbal and imagistic hooks he had developed in earlier films: from Georgy’s cap to Georgy himself, with no need of an intertitle to take us to the new scene. 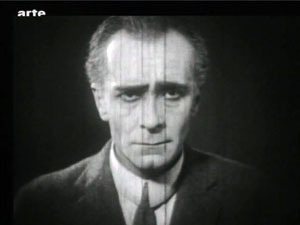 Lang’s freedom of camera position is typical of late silent cinema, but he deploys his angles with characteristic precision. As usual in Europe, Hollywood-style continuity isn’t completely adhered to—there are some crossings of the 180-degree line—but Lang is careful to keep us oriented to the action through eyelines. This allows great flexibility in camera placement. Fredersen is dictating to his secretaries while Josaphat is monitoring prices. A vast establishing shot shows all of them. Fredersen’s pacing around his office allows Lang to introduce a new area around the window and the desk. Now pacing in the center of the office, Fredersen pauses in his dictation and Freder bursts in behind him. But Fredersen, who’s already holding up one hand as he speaks, simply twists his wrist, and this silences his son. The shot approximates Freder’s point of view, but Lang gets a bonus from it. The sharp change of angle makes the imperious hand (and not, say, Fredersen’s expression) the compositional focus of the shot. In fact, this sort of hovering hand will become part of the characterization of Fredersen, and Lang will stress it through, once more, energetic changes of angle. And still later, the framing will spotlight Freder’s pointing finger by pushing it to one zone on the far right of the shot. 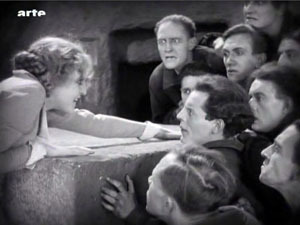 Lang’s concise handling of such small actions forms a delicate counterbalance to the mass movements elsewhere in the film. Perhaps for him, both gestures and crowd scenes are merely two ways of creating a geometry that can activate every area of the screen. The carefully controlled freedom of spatial construction is facilitated by one of Lang’s favorite tactics: shooting from directly on the axis of character interaction. (No, Wes Anderson didn’t invent this.) Lang in effect sets the camera between the two characters so that they stare out at us, as if mesmerized. The technique is most memorable in the scene in which Freder is confronted by Maria and the children. Again, though, the Argentine material brings more instances to our attention. Putting the camera on the axis allows Lang leeway in changing his angles. From a shot on the center line, you can cut to pretty much any other area of space. Lang’s crisp visual narration comes to a climax in the well-named Furioso section. As the action ramps up, the characters rush from spot to spot, hurling themselves into the frame and then abruptly halting to hold the composition. The extreme case is the robot Maria, whose head and limbs jerk puppetlike from one position to another. 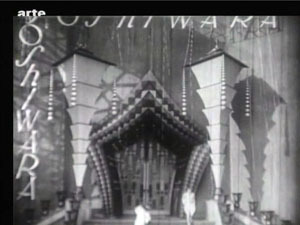 In all, Lang’s precise, almost diagrammatic visual style rushes us through the film’s wild plot and dazzling architecture. An emblem of precision in the service of slightly demented material might be that memorable close-up of the robot Maria: One eye staring out normally, the other half-closed, and the mouth half-twisted in a leer, as if the circuitry in the skull was failing. Martin Kroeber, Togichi Akira, Winnie Fu, Sam Ho, and Wong Ain-ling discuss preservation and restoration at the Hong Kong Film Archive. In a Q & A after the screening, Martin Koerber and Frank Strobel shared information about the version. They and their colleague Anke Wilkening could publish a whole book about the restoration, but here are some highlights, drawn as well from Martin’s comments at a lengthy seminar at the Hong Kong Film Archive. 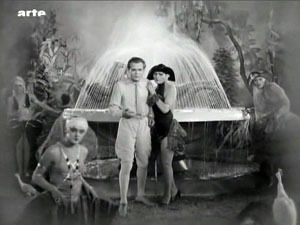 *Sources for information about the premiere version include a copy of the script (helpfully marked with reel ends and calculations about running time), censorship cards recording the credits and intertitles reel by reel, Gottfried Huppertz’s musical score, and thousands of production stills. *Using these materials, earlier researchers were able to create a sort of mosaic of the version that premiered in Berlin in January 1927. 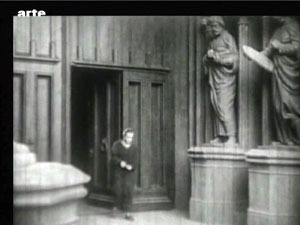 The resulting study film embedded long swathes of blank footage as place-holders. The fact that the Argentine shots fitted in neatly proved the validity of that edition. This study film may be ordered on DVD at nominal cost by educational and research institutions. *What’s still missing? Some shots in the Argentine version may have been censored; we’re missing a bit in which Georgy, at liberty in a cab, sees a woman baring her body. Also lacking is nearly all the fight between Rotwang and Fredersen, which enables Maria’s escape. In addition, the Argentine print lacks a scene showing a monk preaching in the cathedral, which yields some apocalyptic images. *If the film plays fast for contemporary tastes, don’t blame the restorers. This version runs at 24 frames per second. 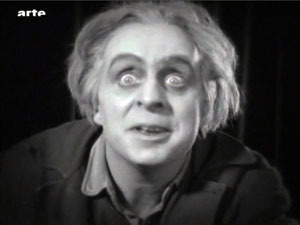 Actually, for the 1927 premiere the film was run even faster. 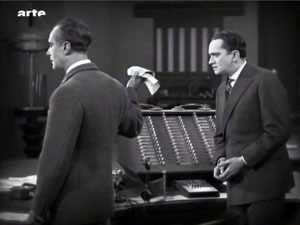 The score includes passages accompanying missing footage as well as over a thousand synch-points for specific onscreen action. On the basis of this evidence, it seems that the film was designed to run at about 28 frames per second. This reminds us that silent-film running speeds were far from standardized, and they sometimes exceeded the 24 fps that would be established for sound film. (For more on this matter, go here and scroll down a bit.) 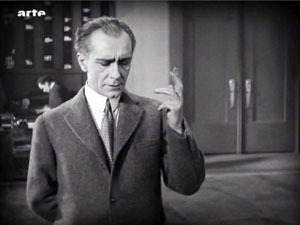 In addition, Frank mentioned that in theatres with orchestras, the conductor could regulate the speed of the film with a dial set into the podium. *Why insert the cropped 16mm footage in such obvious fashion? Couldn’t the framelines be adjusted to match the surrounding 35mm material? Yes, but this slight blowup of the footage would falsify the shot scale of the original footage and not match comparable shots in the 35mm footage. Moreover, Martin pointed out that because not all the scratches and fuzziness of the 16mm material could be purged, it’s better to let these stand stand out somewhat as evidence of the vagaries of film history–like leaving some damage visible in historic buildings. 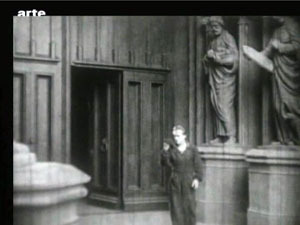 *Why is the restoration in black and white, since most silent film restorations are in color? 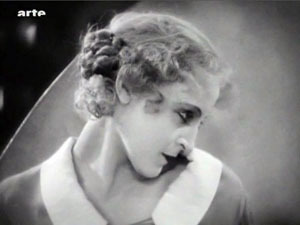 Lang was opposed to tinting and toning, so Metropolis premiered in black and white. This caused a debate among critics, some of whom considered it a promising departure from contemporary practices of coloring scenes. The tinted versions that one can occasionally see are likely export versions colored at the request of distributors in particular markets. *Although future screenings of the 2010 version are to be accompanied by other ensembles devising their own music, there’s a powerful case for retaining Huppertz’s original score. It reflects the filmmakers’ intentions, and its Wagnerian romanticism and modern rhythms are enjoyable simply as music. Just as important, Huppertz designed his score around leitmotifs that, as in opera, can call to mind characters who aren’t onscreen at the moment. To see the restoration with the stirring score, vigorously conducted by Frank, was a high point of my Hong Kong trip and indeed of my filmgoing year. 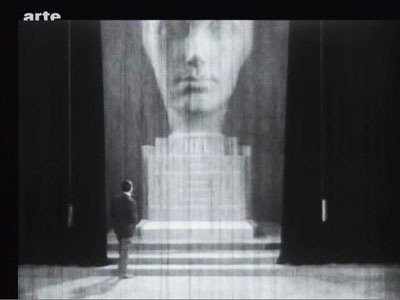 This version of Metropolis was simulcast, if that’s the right word, on 12 February by Arte during the premiere at the Berlin International Film Festival. My frames are taken from that broadcast version; hence the bug. The restoration will be screened on Turner Classic Movies in the fall, and then released on DVD in the US by Kino International. The epigraph quotation from Arnheim comes from Film Essays and Criticism, trans. Brenda Benthien (Madison: University of Wisconsin Press, 1997), 119. 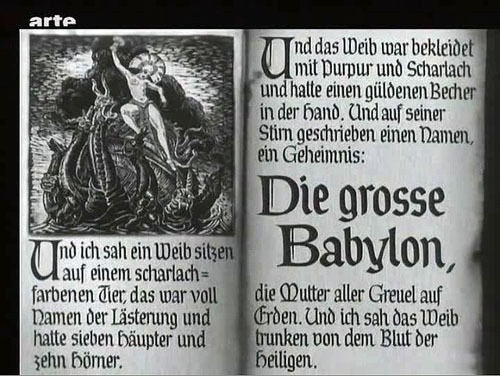 The article about the US cut of the film, which became widely seen around the world, is Randolph Bartlett, “German Film Revision Upheld as Needed Here,” New York Times (13 March 1927), X3. Thanks to Martin Koerber for an abundance of information. For further reading, he recommends Erich Kettelhut’s memoirs on designing and filming the project, Der Schatten des Architekten (Munich: Belleville, 2009), ed. 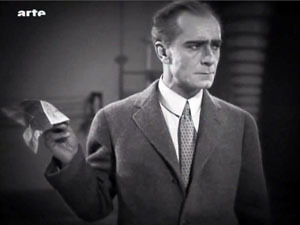 Werner Sudendorf, with many documents from sketches and photos; and the Deutschen Kinemathek exhibition catalogue, Fritz Langs Metropolis, ed. Franziska Latell and Werner Sudendorf (Munich: Belleville, 2010). You can get a sense of the tangled history of the versions of the film from Martin’s article in the latter volume, which includes a detailed account of the digital restoration. 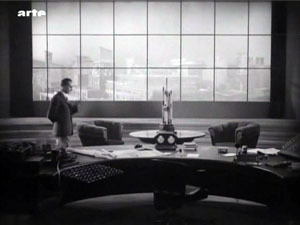 An earlier version of his piece, keyed to the 2001 version, is available as “Notes on the Proliferation of Metropolis,” in Preserve Then Show (Copenhagen: Danish Film Institute, 2002), 128-137. The Metropolis exhibition runs through 25 April. A special thanks to Lee Tsiantis, Langian extraordinaire. This entry was posted on Monday | April 5, 2010 at 11:30 am	and is filed under Directors: Lang, Festivals, Festivals: Hong Kong, Film archives, Film genres, Film history, Film scholarship, Film technique, Film technique: Cinematography, Film technique: Editing, Film technique: Performance, Film technique: Staging, Film theory, Readers' Favorite Entries. Both comments and pings are currently closed.